Business signage is a very important aspect of any business. It is the first thing customers see when they walk into your premises or even research you online. Incorporating Glass signage into business immediately adds elegance and versatility. 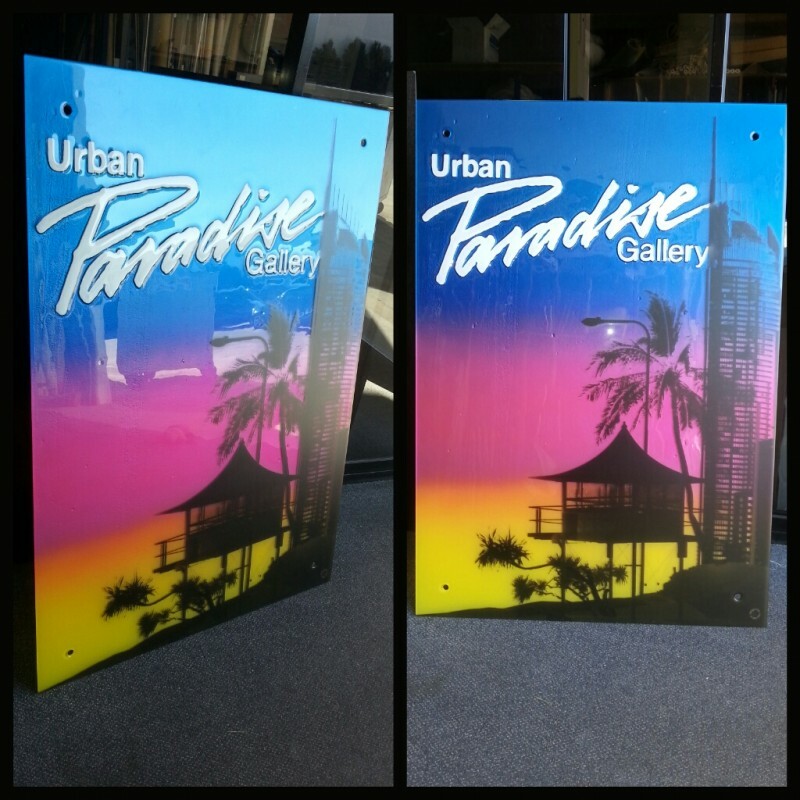 This particular glass sign was created for the Urban Paradise Art Gallery located in Surfers Paradise. The text is slumped then hand painted. The background colour is then spray painted and finally an image is printed on the front of the glass. There are no boundaries when creating your new Glass sign. We specialise in slumped glass signage so logos can have a 3 dimensional effect, and are also hand painted. Navigate through our Signs and Logos page on the website to view more of our creations.